Worker installing a water meter. CAST YOUR MINDS back to 2002. Ireland was on the up and appeared to have money to burn. And that’s exactly what we did. The State spent over €55 million on e-voting machines that year – machines that were only ever used in three constituencies at the 2002 general election – Dublin North, Dublin West, and Meath – and the second referendum on the Nice Treaty later that year. The machines became a running joke to many and part of Ireland’s vernacular language, with the ill-fated machines getting many a mention in pub conversation. This was mainly due to the deadened anger over the cost – not just of buying the machines, but also of storing them. It was estimated that up to €4 million was spent storing the machines in the decade after they were briefly introduced. This led to much ridicule, including from the Finance Minister Michael Noonan, who suggested in 2012 that they should be put in pubs as the machines were “valueless”. The government then tried to draw a line under the whole issue and get rid of them. In 2012, 7,500 of the e-voting machines were put up for sale, with the then-Environment minister Phil Hogan stating that millions had been “wasted” on the project. To the surprise of many, the machines were bought by a recycling company. We would never be that stupid again, we said to ourselves. Right? Fast forward 14 years and we may have made the same mistake. Although this time, it could be worse. The bumpy road of introducing water charges began with Hogan’s water charging plan. The government read the mood of the people completely wrong, with the minister (the same minister who called out e-voting machines as a waste of money) at the time stating that those that did not pay up would have their water pressure turned down to a trickle. This was not well received by members of the public. The first protests against water charges were not on O’Connell Street – they were in estates in Dublin and Cork when locals refused to allow contractors to install water meters in the pavement. 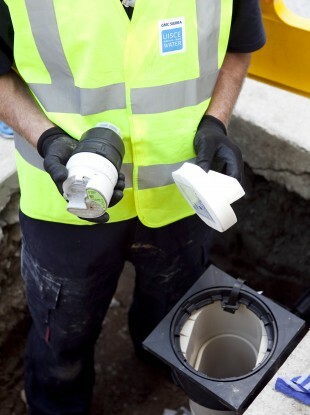 The installation of water meters was key to the government’s water services scheme. Originally, the entire projected costs of the nationwide water metering programme was €431.6 million. In 2014, the figure jumped to €539 million. This week, the expert commission published its report on the future of public water services. It found that the majority of people will not have to pay for water, but states that those who use an excessive amount will have to pay up. The report mentions the extensive programme of metering that has already been undertaken, with Irish Water stating that 873,000 households have now had meters installed out of a target of 1.4 million households. In October, Minister for Housing, Planning and Local Government Simon Coveney, he outlined that the budget for water meters had grown yet again, this time by more than €70 million to €614 million (including VAT). He said domestic metering contracts were awarded in 2013 with the objective of installing 1,050,000 domestic meters over a 3-year programme, which started in August of that year. To date, the cost of putting close to 880,000 meters in the ground has cost the state €465 million. The minister states this is a saving of €148 million, due to 170,000 meters included in the original programme not proceeding, “for a combination of health and safety reasons, service complexity or other technical reasons”. It’s more likely the ongoing protests had something to do with it. While the installation of meters was primarily intended to facilitate billing, the expert commission report states they have proved useful in detecting leakages in the water system and as means of collecting valuable data concerning patterns of water usage (which could be used to calculate what the average water usage is per person and feed in to any charging scheme that may be introduced in the future). With the minister stating that there has been a row back on the number of meters to be installed, does that mean it is the end of the installation project? “Future metering of domestic premises will be considered along with other investment needs based on cost benefit assessment and policy considerations relating to the future decisions on billing and charging,” said Coveney. The question of whether the metering programme should be continued is outside the scope of the expert commission’s terms of reference, explains the report. However it finds that submissions were made that expressed concerns that the excessive cost of installing water meters in every home may be substantially higher than the environmental gains. “If it is decided that the metering programme should proceed, consideration should be given to an approach that is more in keeping with the recommended scheme with a focus metering of buildings in the case of multi occupancy or metering of households on request. Irish Water should complete a comprehensive programme of district metering to identify system-wide leakage and manage the network,” it states. Whatever way you look at it, if water meters are brought into use or whether they are scrapped, they may not end up serving their intended purpose as was included in the original water charging regime. In 2002, we laughed (and grimaced) at the thought that we had squandered nearly €60 million on machines we left to rust in warehouses. In 2016, after years of austerity, it’s a lot more difficult to find the humour in the possibility that we just flushed €465 million down the toilet. Email “Water meters are not the new e-voting machines - they cost us a lot more”. Feedback on “Water meters are not the new e-voting machines - they cost us a lot more”.